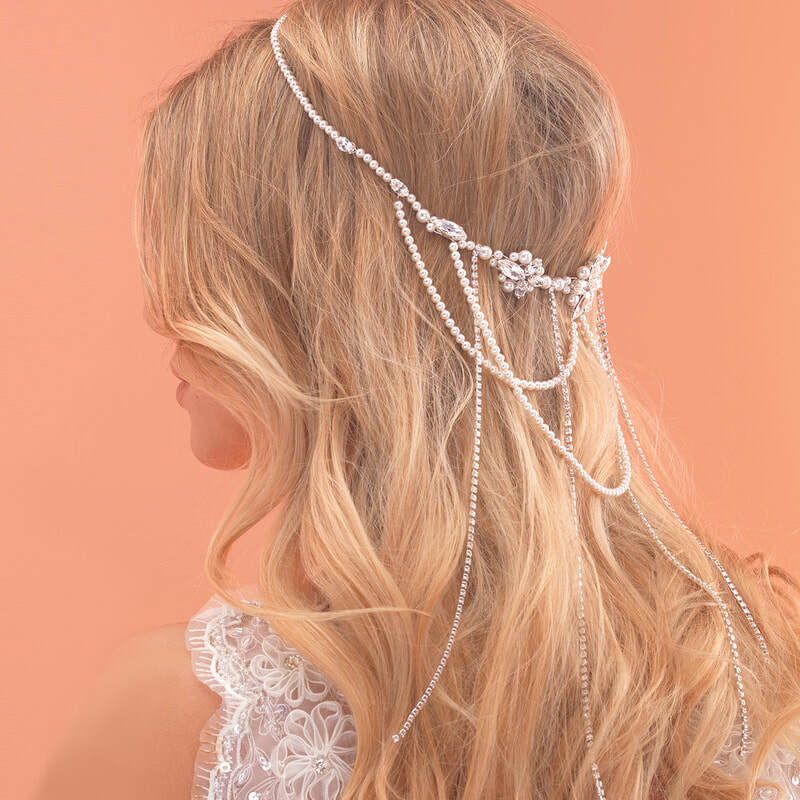 This beautiful boho style pearl bridal halo has a deceptively simple single strand of pearl at the front with a stunning draped pearl & diamante design at the back. 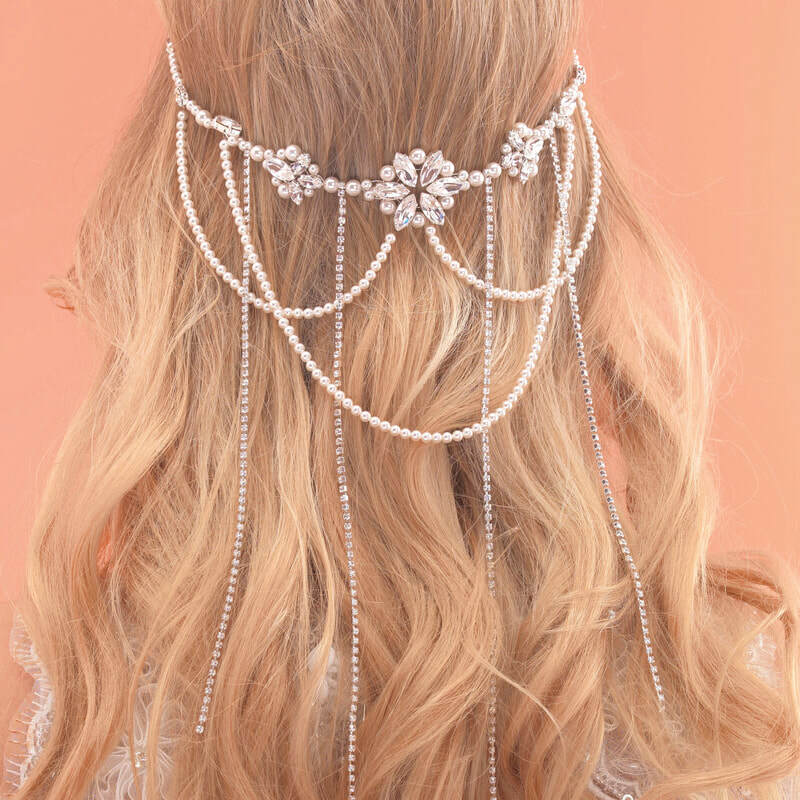 The perfect alternative to wearing a veil! Also available without the long diamante chain strands upon request.